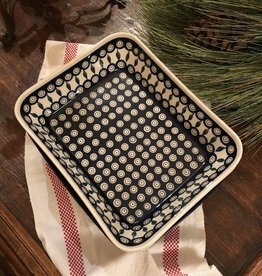 This large Polish Pottery casserole / baker is 13"x 10.75 "x 3". Beautifully decorated. Oven, microwave and dishwasher safe. GET YOURS TODAY!